In this action-packed arcade game you play the role of Fermi, a particle on a thrilling voyage through subatomic space. In ever faster levels and driven by the music you have to avoid countless obstacles and eliminate incoming particles to crack the top score! If you master a level you can play the game in infinity mode and score on an open-end highscore to compete with your friends and the Steam community. You are not satisfied to steer Fermi through the many built-in tracks? No problem! With the included level editor you can easily create new and unique challenges and share them with your friends on the Steam Workshop! 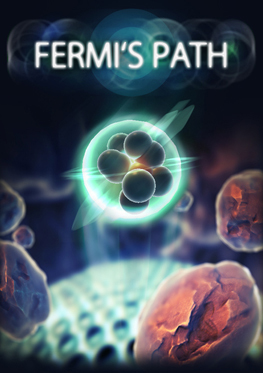 More information on the game can be found on Steam, the Youtube-Channel, the Fermi's Path Facebook fan page and the Fermi's Path Twitter account. On www.fermis-path.com you can register for the newsletter to stay up-to-date.